Size: approx. 20 mm. Photo: 08/01/18, 9 pm. 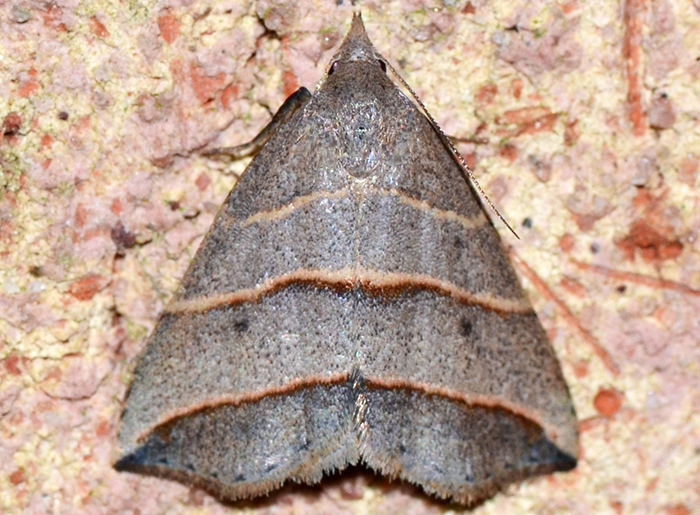 Quite striking for a little, brown moth due to its three yellow lines crossing the forewings. The yellow-lined owlet is found in wetlands from Wisconsin to Nova Scotia south to Florida and Texas. Its larvae feed on willows and persimmon trees.